Welcome to the Marina Japan Culture website. I have been holding tea ceremonies around the world for interested people for the last 12 years. 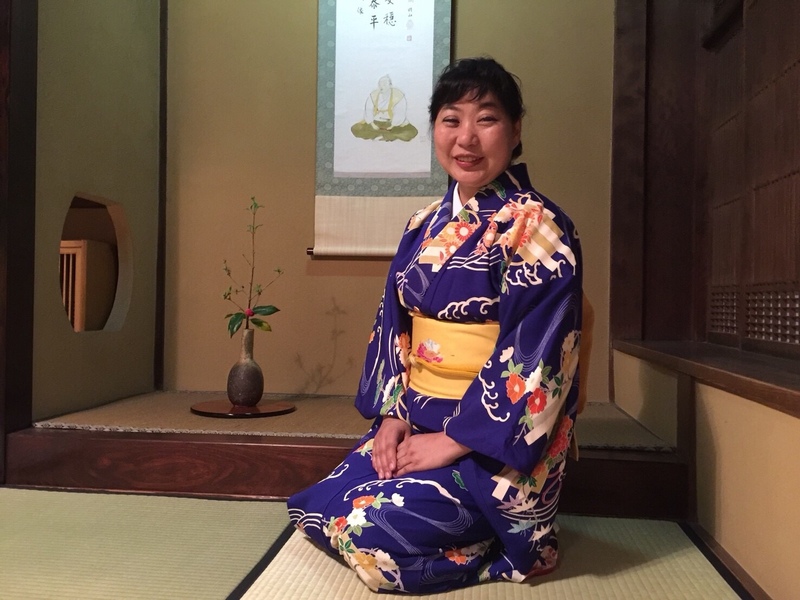 I have been following traditional Japanese cultural activities such as tea ceremony, Japanese dance and Tensho characters used on seals for over 20 years. 地水火風空, earth・soil/water/fire/wind/air, which bring joy and pleasure into my life. The world is created from natural elements, as we are too. Plants: Matcha leaves have plant/wind elements and contain essential chlorophyll and vitamins which activate your body and mind. Water stands for feelings. It clears blocked feelings to reset your body rhythm and enable energy to flow smoothly. You are not negative anymore. Burning unnecessary energy and promoting purification. Warming up your heart and body. Stability, awareness of the value of your existence which gives you the power to maintain energy. Connection with others, appreciation of the present moment, joy of oneness, celebrating togetherness. Each feeling is connected to others(other people) which creates harmony. Tea ceremony: the moment of making a bowl of tea. Japanese dance: the moment of dancing with other people, oneness/togetherness. Tensho: the moment of my presence when I start to write a character on a seal. Now, I would like to share these moments and, by using Japanese culture, create joy for people living in the world. I want to treasure every meeting and encounter I have. Then, sharing the moment, create harmony with nature and joy for people. Marina Japan Culture would like to share time with people who are interested in our activities. Please send us your inquiries. If your purpose meets our ideas we are delighted to hold a tea ceremony at the place you suggest.